A little more … It seems very plausible that chapters 38 and 39 in the prophet Ezekiel refer to an invasion of Israel prior to the last battle of this age (the so-called ‘Battle of Armageddon’) and that this war involves mainly those Arab-Islamic nations surrounding Israel. Psalm 83 speaks of an alliance of invading nations, a mainly Arab-Islamic alliance. This view is supported by the fact that some nations denounce the invasion (Ezek 38.13) and by the fact that the God of Israel is ‘hallowed’ (revered and honoured) in the sight of many other nations through the defeat of the invader (Ezek 38.16, Ezek 39.27). In other words, not all nations seem to be involved. Moreover, key present-day Arab-Islamic nations such as Turkey, Iran, Libya and Ethiopia are identified in Ezek 38.1-6. This is the war of gog-magog. Will Israel destroy Iran's nuclear arms? The puzzle of Israel’s role in the world is being assembled, and some of the pieces involve war. Israel’s neighbours are posed to attack. What is the current situation? Well, these are all Islamic countries with Hamas (Gaza) and Hezbollah (Lebanon) vehemently opposed to Israel. Currently Israel’s chief enemies are Shia Muslim (as in Hezbollah), so Israel is currently tightly aligned with anti-Shia Saudi Arabia, link. When it comes to Israel and Jordan, these nations are currently tethered by a peace treaty but the current ‘cold peace’ could easily turn into a ‘deep freeze’, link. 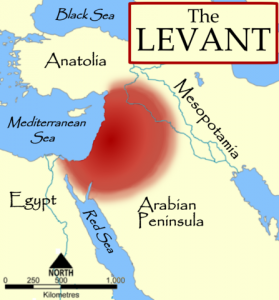 Moreover, Jordan (and all Israel) is an integral part of the Levant, an area marked by ISIS for an Islamic caliphate (see map). We must not forget what has already happened. Historically, the Edomites (Ps 83 v6) and the Amalekites (Ps 83 v7) were arch enemies of Old Testament Israel. Whilst it is claimed that Edom disappeared into Rome when the Temple was destroyed in 70 AD, link, that is not true for the Amalekites. The Torah teaches that Amalekites exist in every generation, link, and so today many Israeli’s regard their adversaries as ‘Amalek’ either in reality or in symbolism. As in history, today’s Amalekites actively conspire to kill off God’s chosen people – the Jews – and we can see this in Iran and in ISIS. An Interesting Connection: The Bible records that Amalek fought against Israel in Rephidim, but was defeated there under Joshua (Exod 17.8-16). The location of biblical Rephidim is on route from the Wilderness of Sin to Mt Sinai, link. In 1967, some 3,200 years later, Rephidim was called Bir Gafgafa and was the site of the Egyptian Air Force’s biggest air facility in Sinai. From there, Egyptian President Nasser declared that year: “If Rabin wants war, let’s go!” Given this declaration, the Israeli Air Force preemptively wiped out Nasser’s air force on the ground at the outset of the Six-Day war, including Bir Gafgafa, link. Was this attack on Israel motivated by a ‘spirit of Amalek’? ISIS is the Amalekites of the Old Testament: It is claimed that the war in the Sinai peninsula between Egypt (now an ally of Israel) and the Islamic State is a reenactment of the biblical confrontation between Israel and Amalek, link. In 2017 ISIS attacked Saint Catherine’s Monastery situated on Mount Sinai, link. In other instances, Israel has helped Egypt with intelligence and the use of drones against ISIS strongholds, link. And over a two-year period, the Israeli Air Force ventured across the Israel-Egypt border and made more than 100 attacks on ISIS targets in the Sinai Peninsula to assist Egypt, link. Given the close correspondence of Philistia (Gaza) with Hamas, Tyre (Lebanon) with Hezbollah, and the Levant (Ammon, Amalek, Philistia, Tyre, Moab and (northern) Assyria) with ISIS, then Psalm 83 does indeed appear to foresee an end-time Arab-Islamic invasion of Israel. We will now see that prophecies in Ezekiel confirm this conclusion. The nation of Iran was called Persia, its biblical name, until 1935. Persia was one of the former great empires of the world, ruling 539-331 BC. The book of Esther tells how a Jewish girl became the queen of Persia and how God used her to save her people (the Jews) from a plot to destroy them. This spirit of hatred against the Jews exists today and Iran’s leaders insist that “Israel must be ‘wiped off the map'” – as foretold in Psalm 83 verse 4. In fact, according to prophecy, Israel receives God’s help to defeat Iran. Israel is not alone. Please read on. The Ethiopia of the Bible was located to the south of Egypt, extending through the junction of the White and Blue Nile, including, and beyond, what is today’s Sudan. Ethiopia was inhabited by Ham’s son Cush. In fact, the Hebrew word ‘cush’ and its Greek equivalent ‘Ethiopia’ are used interchangeably throughout the Bible. Some Bible translations use the word Put, which is simply the Hebrew place name for the area currently occupied by present-day Libya. Politically, Libya is unstable, with the ever-present threat of Islamic State group ISIL or ISIS, link. This is not surprising given that Libya is about 97% Muslim, link. Also, as of 2018, Libya did not recognize or maintain diplomatic relations with the State of Israel, link. So it is very conceivable that Libya could join an Islamic invasion of Israel. Prior to the December 2017 summit of the Organisation for Islamic Cooperation (OIC) in Istanbul, the popular Turkish daily Yeni Safak published an article titled “A Call for Urgent Action”, link. This also appeared in the paper’s website under the title “What if an Army of Islam Was Formed against Israel?” It noted that the army would greatly exceed the Israeli army in manpower, equipment and budget. But did they factor in the power of the God of Israel? The article is based upon information taken from the website of the Turkish SADAT defense company. Gomer and the house of Togarmah are also mentioned (Ezek 38.6). Gomer was an Aryan group who conquered Armenia (essentially north-eastern Turkey) from their Ukrainian homeland, and Togarmah was the south-eastern part of Turkey near the Syrian border, link. Clearly, on this analysis, it seems that Turkey is directly involved in the war against Israel. And of course Turkey is indeed north of Israel, as required by the prophecy in Ezekiel 38.6. Turkish Politics: Currently Turkey finds herself isolated and surrounded by not very friendly states such as Iran, Iraq and Syria. So an anti-Israel alliance with these countries seems rather distant, especially since Turkey-Israel relations could even improve, link, link. But given the rapid political transitions in recent years in Libya, Iraq and Egypt, Turkey could yet fall to hard-line Islamic fundamentalists and join Iran, link. Under President Ergodan, Turkey now has a powerful President who is sympathetic to Egypt’s suppressed Muslim Brotherhood, link. The invasion is sometimes referred to as the Gog-Magog war since it is led by “Gog of the land of Magog, the prince of Rosh, Meshech and Tubal … from out of the far north” (Ezek 38.2,15). Here, ‘Gog’ could be the leader of the coalition against Israel, or a specific anti-God people living in the land of Magog. A number of Bible atlas’s (see Map 1) place Magog in northern Turkey, link. The Oxford Bible Atlas identifies Meshech and Tubal as regions in Asia Minor or Turkey, as indicated in Map 1, link. That said, an alternative and more favoured location of Magog is a region north and east of the Black Sea and in the area surrounding the Caspian Sea. 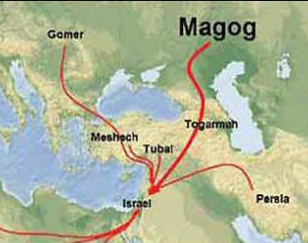 Magog was a son of Japheth and a grandson of Noah (Gen 10.2). 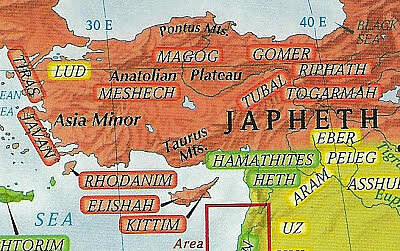 The descendants of Japheth subsequently settled across Asia Minor (modern-day Turkey) and those in the eastern parts became known as Scythians. The significant point here is that historians link the Scythian peoples to Magog. Hesiod identified Magog with the Scythians and the southern Russia area in the 7th century BC, and Herodotus wrote about the descendants of Magog by their Greek name, the Scythians in the 5th century BC. Both Jerome and Josephus claimed that Magog is a general designation for the many Scythian tribes of the north, whilst Philo (1st century) identifies Magog with the southern Russia area, link. So where were these Scythians? They were barbarians (non-Greek and non-Roman), a people dwelling north and east of the Black Sea and in the area surrounding the Caspian Sea. This was an area on the outer edge of the then known civilized world, link, link. Today’s maps identify this area to include the Ukraine, Kazakhstan and the Russian Federation. The Russian Federation extends south towards the Caucasus region – an area between the Black Sea in the west and the Caspian Sea in the east, see map of Russian Federation. The southern-most region of the Federation is the North Caucasian or Southern Federal District. In military terms, this is the South Military District of the Russian Federation – the South Strategic Command with their headquarters in Rostov-on-Don (a port on the Black Sea), link. So, whilst Moscow itself is not directly due north of Israel, the military arm of the Russian Federation is indeed to the ‘far north’ of Israel (Ezek 38.6,15). And many authorities add that Meshech and Tubal are the names of the Scythian tribes, whose names have been standardized as modern place names. So they take Meshech as Russia’s capital, Moscow. Rosh – Russia? Some claim that Russia is implied by the term ‘Rosh’ (Ezek 38.2,3 NKJV, NASB). This term is missing in the King James Version (KJV) of the Bible, but modern translations imply Rosh is a geographic location or place name. In early Greek writings Rosh was a name used for all the nations of the north, link. The German Bible critic Gesenius regarded Rosh as indicating the Russians, who are mentioned in Byzantine writers of the 10th century under the name of Rhos, link. And today any standard Hebrew text (such as a newspaper) refers to Russia by using the proper noun, ‘Rosh’. So some Bible scholars associate Rosh with Russia, link, link. Russian Politics: Russia’s strengthening economic and military ties with Iran (a key nation in Ezekiel 38) supports the view that Russia could be the leader of the Gog-Magog invasion, link. Russia and Iran both support Bashar al Assad’s regime in Syria and oppose Sunni jihadist movements such as ISIS. Russian military support for Iran comes via arms deals between the two countries, as in the supply of S-300 air defense systems, Sukhoi Su-30SM multi-role fighter jets and advanced Russian T-90 tanks, link. On the other hand, Moscow does not want Iran to acquire nuclear weapons. Today’s news suggests that this is close to fulfillment. Sheba (Sheva) and Dedan were descendants of Cush (Gen 10.7), and the same two tribal names are directly linked to a much later time as offspring of Abraham, through Keturah (Gen 25.3). Studies trace these names to today’s Saudi Arabia, link, link. On the other hand, Psalm 83 verse 6 does imply Arabic aggression. What about Tarshish? This was a city in southern Spain. The ‘merchants of Tarshish’ used it on route to Europe and other ports of the world. So Tarshish is usually identified as the western powers, link, and today we note that these have a strong economic/military alliance with Saudi Arabia. It seems America, Europe and Saudi Arabia will voice strong objections to the Gog-Magog invasion, but are not directly involved. On the above analysis, the current world scenario, and particularly the Middle East scenario, seems well aligned to prophecy. The Gog-Magog invasion of Israel seems imminent. So let’s identify the key players in the alliance against Israel. If we follow some historians rather than a Bible atlas, then Russia could be the leader (Gog). The rest of the coalition are nearly all strongly Islamic. Ezekiel 38.1-6 describes Turkey (98% Muslim), Iran or Persia (99% Muslim), Libya Heb:Put (97% Muslim) and Ethiopia Heb:Cush (50% Muslim). Psalm 83 adds more Islamic groups based in Gaza, Lebanon, and possibly northern Iraq (Assyria). All this is pretty specific on location and seems to involve principally Arab-Islamic nations in the Middle East. Current Islamic threats support this interpretation of prophecy. Politics: Not all Islamic nations appear to be involved, principally Egypt, and probably also Syria (possibly for reasons already discussed), Jordan and Saudi Arabia. Today’s politics support this view. Israel has been working hard in recent years at diversifying its alliances, and has courted the leaders of Egypt and Saudi Arabia. Surprisingly, in contrast to prophecy, Israel also has a working relationship with Russia, link! Prophecy indicates that this will change. Weapons: A straight reading of prophecy suggests that the invaders use primitive weapons that can be burnt for fuel (Ezek 39.9,10 suggests they are combustible). Surprisingly, such a scenario is not impossible in today’s world! An EMP (electromagnetic pulse) weapon exploded over areas north of Israel could disable all modern electronics-based weapons, link, forcing the use of primitive weapons. On the other hand, Malachi 4.1-3 and Zechariah 14.12 appear to describe how the invaders in the final conflicts will perish, and may be references to nuclear war and the use of neutron bombs respectively. The unused fuel in military vehicles could be the combustible element in Ezekiel 39.9-10. The Quran teaches that the Palestinians must liberate Israel in its entirety. Allah says (in the Quran): ‘And drive them out from wherever they have driven you out’. Removing the Jews from the land they occupied in 1948 is an immutable principle, because it appears in the Book of Allah. We have liberated Gaza, part of Palestine, but I am not prepared to accept just Gaza … Our position is: Palestine in its entirety, and not a grain of soil less. (The Quran says:) ‘Kill them wherever you may find them’ – Allah did not define the 1967 borders or the 1948 borders. We will fight them wherever we can – on the ground, underground, and if we have airplanes, we will fight them from the skies. Here, Al-Zahar is choosing his words from at least 109 verses in the Quran that call Muslims to war with nonbelievers for the sake of Islamic rule, link. With pestilence and with blood I will enter into judgment with him; and I will rain on him and on his troops, and on the many peoples who are with him, a torrential rain, with hailstones, fire and brimstone. I will magnify Myself, sanctify Myself, and make Myself known in the sight of many nations; and they will know that I am the Lord. Defeat comes through fire and brimstone similar to that which destroyed Sodom and Gomorrah (Ezek 38.22,23), and possibly via extreme snowfall (Job 38.22,23). There will also be a great earthquake in Israel (Ezek 38.19). I will remove the northern army (probably Russian led) far from you, And I will drive it into a parched and desolate land, And its vanguard into the eastern sea, And its rear guard into the western sea (Joel 2.20). It seems that Russia is visited by fire and her forces are driven towards Siberia! Why? 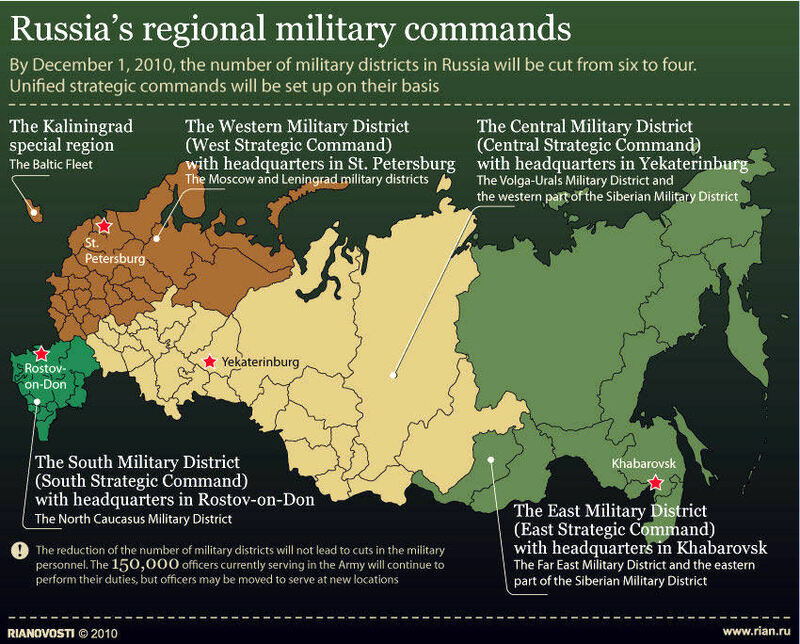 A glance at a map shows that Moscow and the associated western and southern military districts are directly north of the Black Sea. It is widely known that there are some 100 mud volcanoes under the Black Sea and these are continuously releasing methane gas, link, link. Sometimes this gas reaches the surface resulting in fire flashes and explosions. Any volcanic action or earthquake (as in Ezek 38.19) could release much more gas which could be carried north to Russia and then ignited. So ‘fire on Magog’ is a distinct possibility. A Pre-Covenant Invasion: In this scenario, the invasion takes place before the revealing of the secular world dictator (the ‘beast’ of Rev 13.1) and the false ecclesiastical head (the antichrist, Rev 13.11). This revealing must occur around the start of the 70th week to allow for a seven year covenant. Placing the invasion before the 70th week allows Israel seven years to use Gog’s weapons as fuel (Ezek 39.9,10) before they start to suffer in the great tribulation under the beast (Jacob’s trouble Jer 30.7). So the invasion probably occurs around the time of the rapture of the true church, either a few years before or a few years after the rapture. Certainly Ezekiel 38.12 (the next verse) agrees with this view: the waste places (desert scrub) are now blooming due to Israel’s advanced agriculture. So the timing of the Gog-Magog war against Israel could well be before the emergence of the final world dictator but after the dispersed people of Israel have been gathered back into their own land and so are safe from hostility within the Gentile nations i.e. at or near the end of the aliyah (Ezek 39.27,28). This implies that the true church may well see this invasion before she is taken up in the rapture. Today, the aliyah continues, with millions of Jews still residing in Gentile nations. As of 2015, the world Jewish population was 14.2 million, of which 6.2 million (44%) resided in Israel, link.